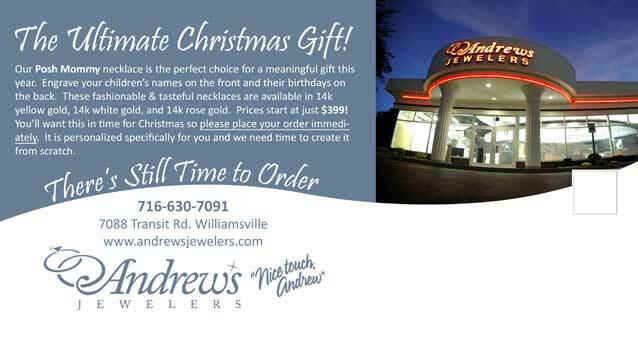 I promised my followers Jewelry Marketing Secrets and I have a really good one for this Holiday Season 2014. 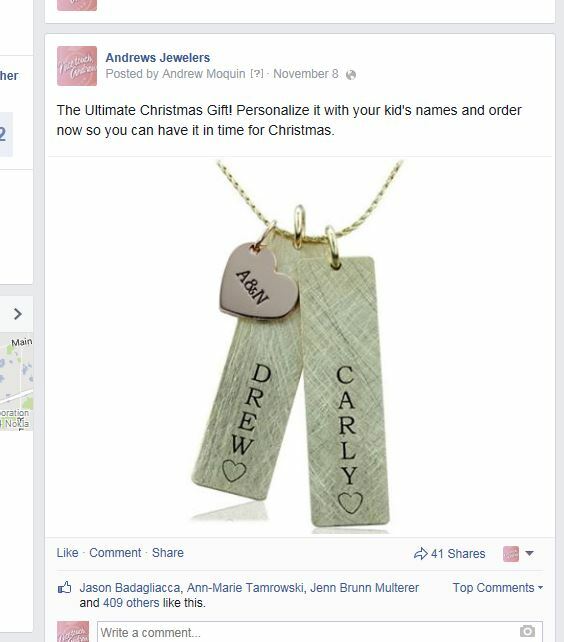 Last week I posted a picture of a Posh Mommy necklace from Stuller Settings on Facebook and sold $3500 at keystone in 5 days! 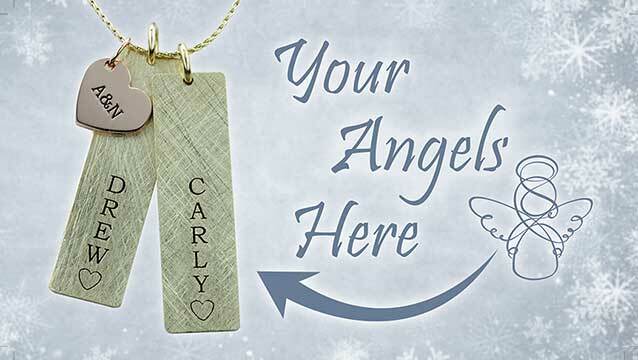 If you’re not familiar with the product, they’re nametags that can be laser engraved with children’s names on the front and birthdays on the back. Keep in mind that I just did a simple Facebook post and the response was overwhelming. Not just in actual sales but in fan engagement, post shares, phone calls, and comments. Imagine how much of this product you could sell if you really got behind it?! I then ordered one of the necklaces to have in-stock to show customers as they came in see to them. I made it easy for the salespeople by creating a simple list of options that the customer could choose from to personalize their necklaces. Stuller gives you the options to choose many different types of finishes and font types when you order the Posh Mommy necklaces. What I wanted to avoid was creating all kinds of confusion for the salespeople when the customers came in. So I chose one font type and one finish type and told my salespeople that this was the only way to order the pendants. It worked beautifully, nobody asked about any other options. I also created a sheet of instructions for how to sell it and gave it to the salespeople. The sheet included the product codes, complete pricing, finish, font names, and delivery times. Again, this eliminated confusion and made it easy peasy to sell the necklaces. This item is a MUST have because it’s a great promotional tool but you’ll have it to show walk-ins. The reaction from the moms has been amazing and the husbands love it because it is a “no-brainer” gift idea, it makes things so easy for them. I just sent a jumbo sized postcard to my customer database because the post did so well. It’s my belief that your marketing messages should be useful to your customers. When you bring something helpful and valuable to your customers, you build loyalty and show legitimacy with your message. This product does just that, it’s a very legitimate reason for contacting your customers. Use it as means to touch your customers before the Christmas shopping season. Give your customers a reason to come see you, a blanket message with same old product everyone else has just won’t cut it. I sent an 11×6 jumbo size postcard printed in full color and gloss finish. I mailed 3100 pieces to my top customers and it cost me $2422 total including postage & printing. I recommend that you Call Jody Gower at Postcardmania.com 1-800-628-1804. It took her 6 days to print and mail them; you still have time to get them to your customers before the shopping season starts. If you want the artwork for the postcard and Facebook post I can supply it to you for $199, this will include adding your store information and a picture of your store. Call me at 716-912-9444 and I will take care of it for you. Call me today at 716-912-9444 and I can help you get your artwork together!